Christmas is in the air! 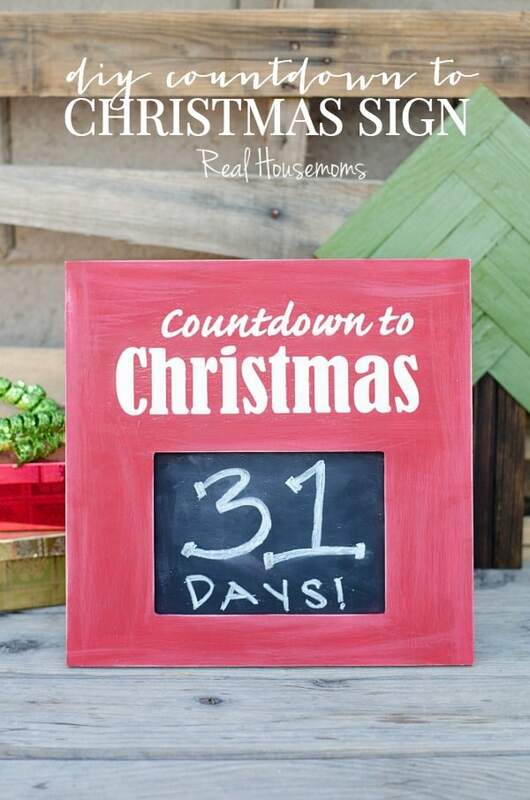 And while we’ll FULLY celebrate and enjoy Thanksgiving before moving on to all our Christmas activities, I wanted to share this awesome and easy DIY Christmas Countdown Sign with you NOW so that you can whip up your own and put it to good use RIGHT AFTER turkey day! Sometimes we have to plan ahead, right? First take out the glass piece from the plaque frame and give it a good coating of chalkboard spray paint. 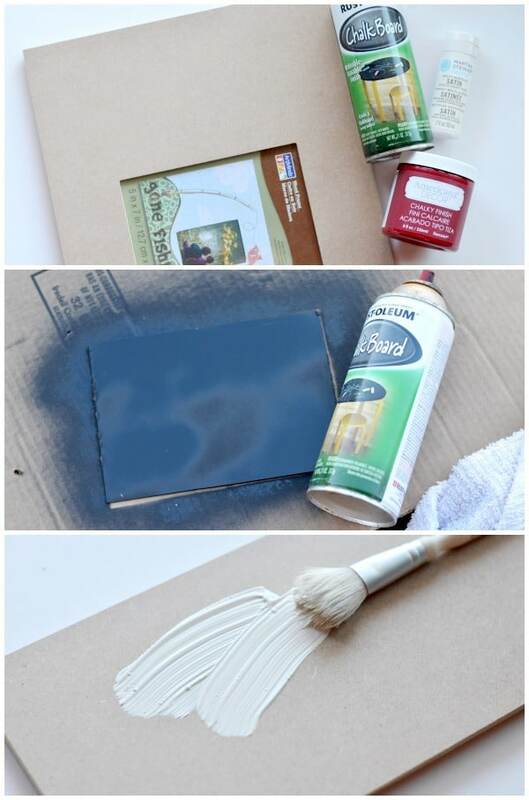 Do this first because you need to let the spray paint cure for a good 24 hours before using it. Next, paint your frame all over in white. This is the base and will be the color of the lettering on your sign. You can choose another color, but you want to be sure it coordinates with your second color and would show up against it! 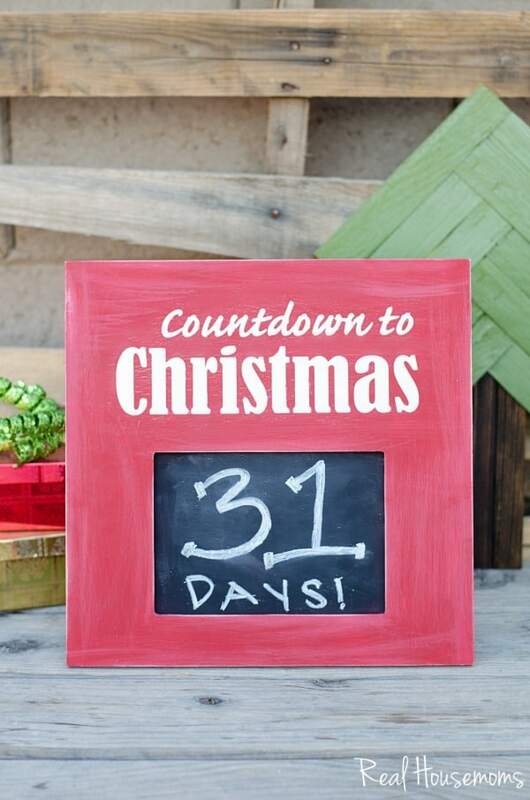 Then on your Silhouette or cutting machine (or you could purchase vinyl letters from the craft store), write out and cut from vinly what you want your sign to say…like “Countdown to Christmas” like we did! 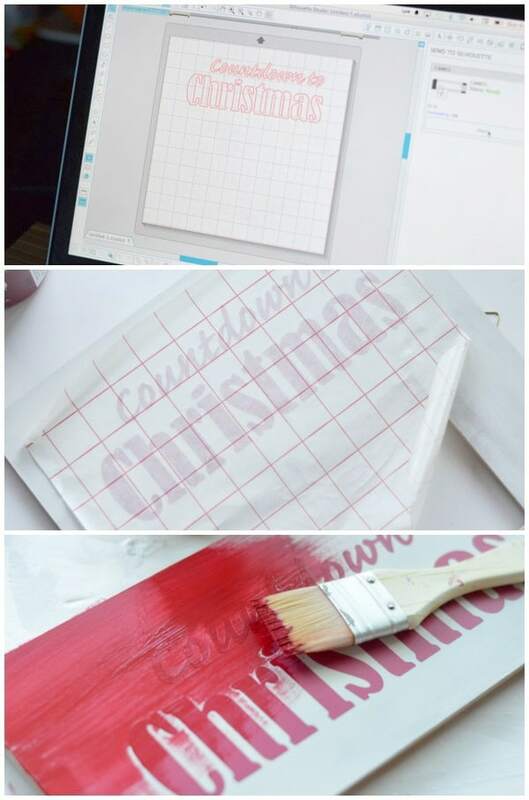 Using vinyl transfer paper, move your letters and arrange where you’d like them on your sign. Once those are transferred, run your finger over the letters to be sure they’re on securely, and using your red paint, paint right over the letters! We did two coats of red paint and once it was dry, we pulled up the vinyl letters to reveal the words in white! 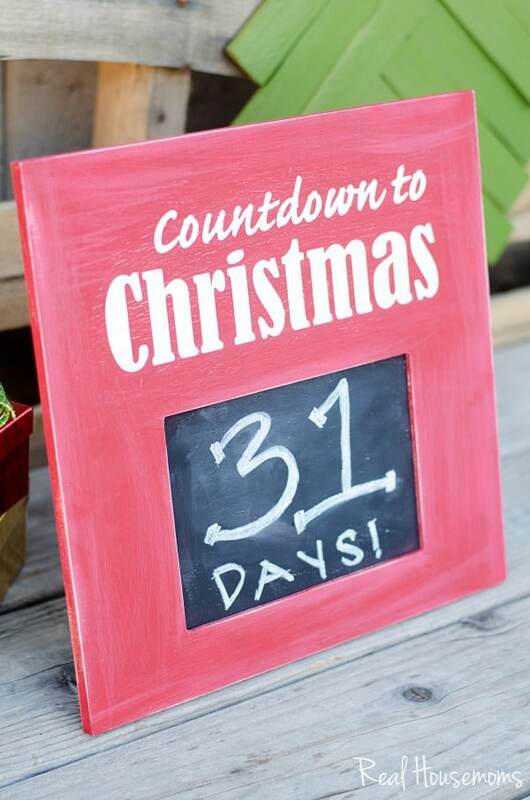 Once your sign is dry, return your chalkboard glass piece to the frame and start keeping track of the number of days til Christmas! And there you have it, your DIY Christmas Countdown Sign. So fun, right? And while I was trying to hold off too much Christmas until after Thanksgiving, my kids are already begging to do the countdown. I get it, I love Christmas too. If you enjoyed this easy and whimsical craft, be sure to head over to A Night Owl for more! If Christmas is your thing, you’re SURE to love our Easy DIY Poinsettia Wreath, and our popular Rudolph the Glitter Reindeer. Say hi if you drop by!